Within a couple of decades after Jesus Christ was crucified, St. Mark – the writer of the first gospel – arrived on the shores of the ancient city of Alexandria in Egypt and preached the Gospel of Jesus Christ. Starting with St. Anianus (the first successor of St. Mark) until His Holiness Pope Tawadros II (the 117th successor), the ancient Church of Egypt has maintained an unbroken chain of succession for the bishop of Alexandria. 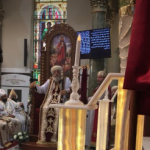 Thursday, September 13, 2018 marked a monumental day in the storied history of the nearly 2,000 year-old Coptic Orthodox Church. Remember: One must remember from where they came or they are bound to repeat the mistakes of past generations. I believe that one of the great challenges within American modernity is an attitude that suggests that one knows better than those who came before us, simply because they are from the modern world. Perhaps it is a result of our American Pride. Maybe it is a challenge by which each generation and country is confronted. The truth is that if each generation does not look back and learn from the giants who walked before them, they have no clear path forward. Throughout the entirety of the Bible, the faithful are continually told to remember the work God has done in previous generations. How foolish it would be to neglect that memory. Love: I believe it is beautiful that Pope Tawadros loves his country (Egypt), and prays for the welfare of his fellow citizens. I too love my country, the United States of America. Whenever I travel abroad, I express my sentiments to people that I hope they will visit New Jersey if they ever find themselves in my part of the world. I personally think of a country as a collection of people living in a certain piece of land on a planet that God has created. Perhaps one of the great fallacies of today is that all people must all be the same, enjoy the same things, speak the same way, and reject anything that appears to distinguish them from one another. How mundane and lifeless the world would appear if there was no diversity. Love your country and love your neighbor. 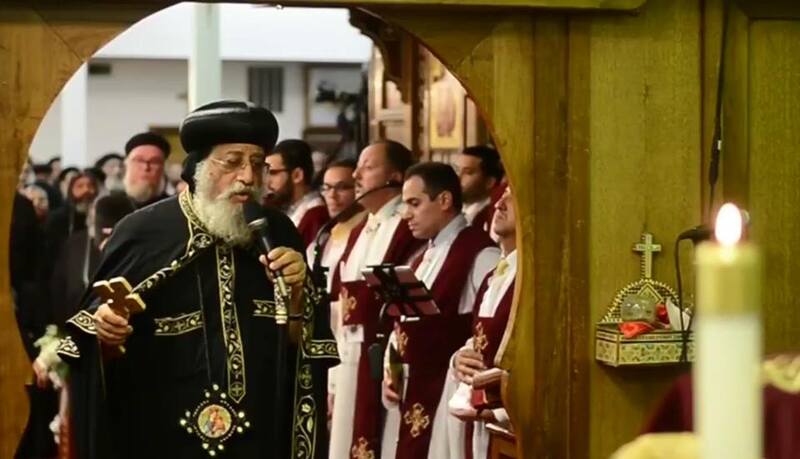 Mission: Pope Tawadros, Patriarch of the Coptic Orthodox Church and bishop of the Great See of Alexandria, emphasized the truth that the Coptic Orthodox Church has a mission and purpose in America! The Church cannot stall in looking back but must do so with purpose of continuing her 2,000 year mission of saving souls to each part of the globe that God has called her to serve. The Church’s mission is to provide pastoral, grace-filled, Christ-focused service to the faithful, while at the same time serving as an icon of Christ to her neighbors. 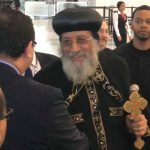 The Coptic Orthodox Church is now a global Church and His Holiness Pope Tawadros has a beautiful and bright vision for her. Her members would be wise to learn from their Patriarch. They must continue to stand on the shoulders of the great saints from past generations in order to love their neighbors in such a way that they may fulfill the mission of Jesus Christ in each generation and land God calls them to.